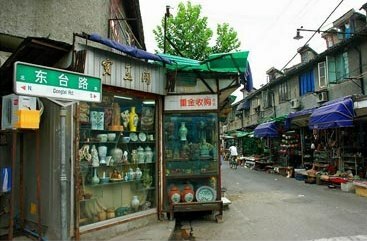 A house, a shopping mall and a street (一楼一城一条街) are the major three antique markets in Shanghai. 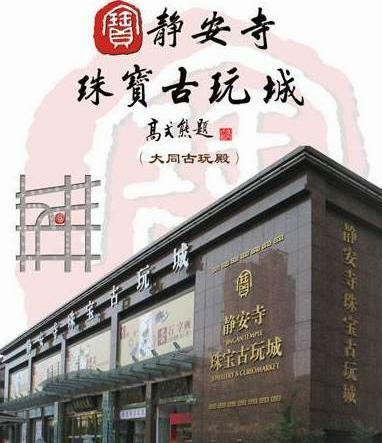 "Treasure House", the true name of "FUYOU ROAD CRAFTS MARKET"(福佑路工艺品市场), it's used to be Fuyou Antiques Market. This market attract crowds of amateur collectors every Sunday morning on the lookout for a wide variety of objects such as paintings and calligraphy, pottery and all sorts of curios. It offers the best and the most complete range of antiques in the city and located at No. 1829 Beijing West Road. 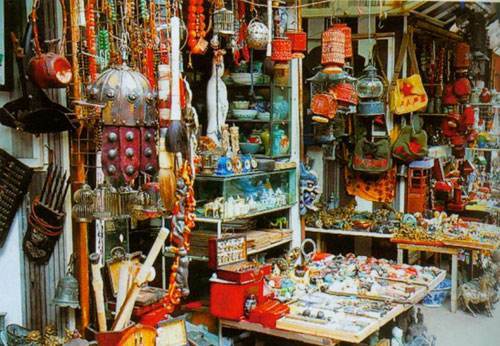 The first floor - jewelry jadeite, the craft class, the jade carving, the antique miscellaneous items. Interlayer - celebrity calligraphy and painting, the jade carving antique. The second floor - jade carving area, antique areas. The third floor - antique miscellaneous items, the calligraphy and painting celebrated work, the purple sand clay modelling, the ancient furniture four building -- antique miscellaneous items, the auction demonstrate the hall .The fourth floor - miscellaneous pieces of antique auction hall display. Opening hours: Everyday from 8:00 a.m. to 8:00 p.m.
Cut the price in half, then half again. Expect to bargain ruthlessly; haggling can take hours. 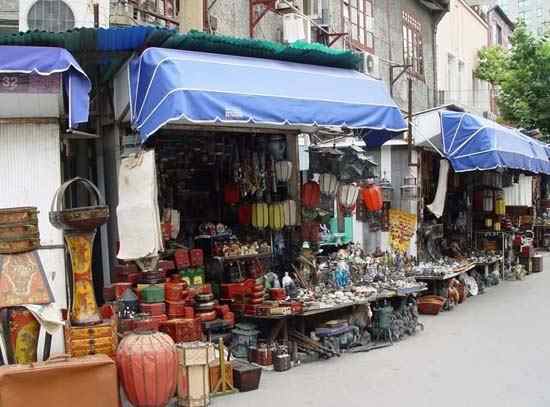 Antique buyers should be extremely cautious; copies are far more plentiful than authentic items across China. The metro stop closest to the market is South Huangpi Road. Taxis are abundant and inexpensive in Shanghai and while most cab drivers know the market they do not speak English. 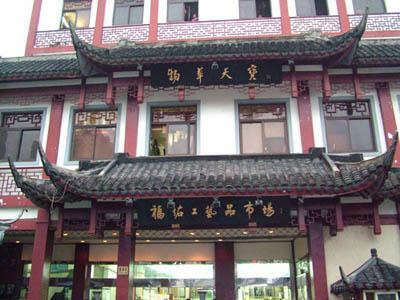 Ask the reception at your hotel to write down the name of the market in Chinese so you can hand it to the driver. Most hotels have business cards with their address in English and Chinese and a space on the back where the Chinese name of a destination can be filled in.We introduce shanghai subway station map for you.